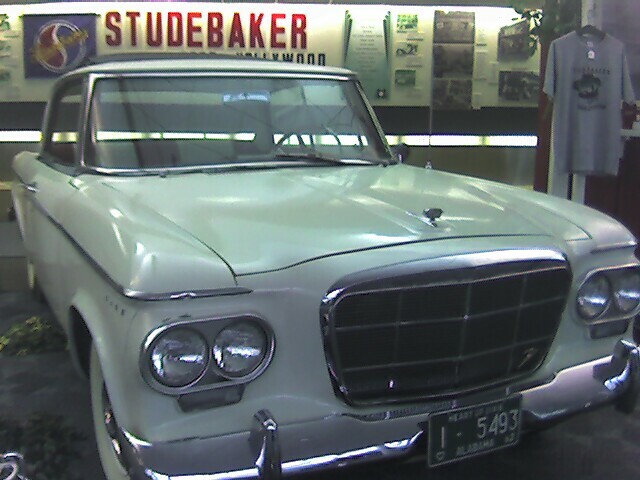 I just touched down in the South Bend, IN, airport, where the Studebaker National Museum has set up a display. I'm en route to Winona Lake, where we'll be having our department head planning session, working performances and master classes for nine programs into five busy weeks (June 25-July 23)..
That should have posted on Saturday. Now I'm back in NYC, and the planning session went very well from my perspective: it only took six hours. The best news is that the brochures are out, and they look fabulous! They're designed by Christi Mahan, who has stayed on as a year-round intern after being part of the theatre program last year. If you or someone you know is interested in theatre or any of the MasterWorks programs call 888.836.2723 to request a brochure. Christi models her program at the MasterWorks Theatre Dept. blog.